Dowie's Place: I Love Indie Books Blog Hop! 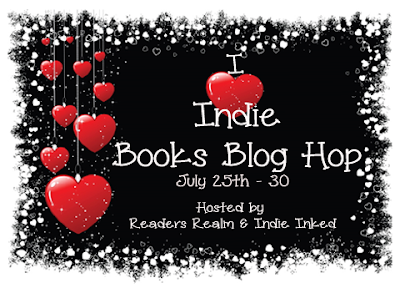 Thank you for coming by on my stop on the I Love Indie Books Blog Hop! Here is what's up for grabs! 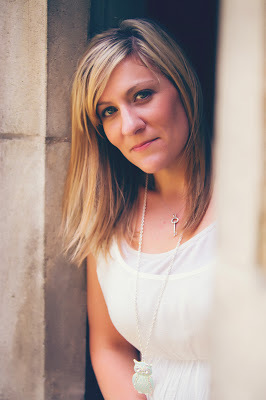 Cambria Hebert is a latte sipping author of the Heven & Hell series, the Death Escorts series, and the Take It Off series. She loves a caramel latte, hates math and is afraid of chickens (yes, chickens). She went to college for a bachelor’s degree, couldn’t pick a major and ended up with a degree in cosmetology. So rest assured her characters will always have good hair. She currently lives in North Carolina with her husband and children (both human and furry) where she is plotting her next book. You can find out more about Cambria and her work by visiting her website. The winner here will get a ebook version of Charmed. Here is a list of all the blogs participating in the hop, remember there is a giveaway on each page, so you really wanna go check them all out!! You are my 13th stop on the Blog Hop! I am hoping to make all of them today! I am hopping thru to all I am going to Indie Inked next. I am hopping through them all tonight! I am a huge fan of Indie's! Love it when there are hops that support these wonderful authors! I have been hopping along and meeting some new to me authors and some old friends along the way. Thank you for your generous participation in the fun. Thank you all for stopping by and supporting Indie Authors!!! Have fun and good luck! I'm stopping at all the blog stops. Yes, I am hopping through them all! I'm so excited to see you guys stop by and support Indie Authors! Indie Authors hold a special place in my heart and I am happy to be able to help promote them!! Thank you all for stopping by and good luck with the entries!!! Thanks for stopping by!!! Good Luck!! Yes, I'm almost done! Thank you for joining the hop!